With Rob Cowan. Including Five Reasons to Love Bach's 48 Preludes and Fugues; Artist of the Week: Leopold Stokowski; Rob's Essential Choice: Shostakovich: Piano Concerto No 1. With Rob Cowan and his guest Dame Stella Rimington. A selection of music including '5 Reasons to Love... Bach's 48 Preludes and Fugues'. Rob picks favourite recordings from Bach's innovative 'Well Tempered Clavier' collection, and shows how they succeed equally well when played on harpsichord, piano or clavichord, including a fine performance by Tatiana Nikolaeva of the Prelude in C from Book 1 - the one attempted by beginner pianists everywhere. Take part in our daily musical challenge and identify the personal relationship that connects two pieces of music. 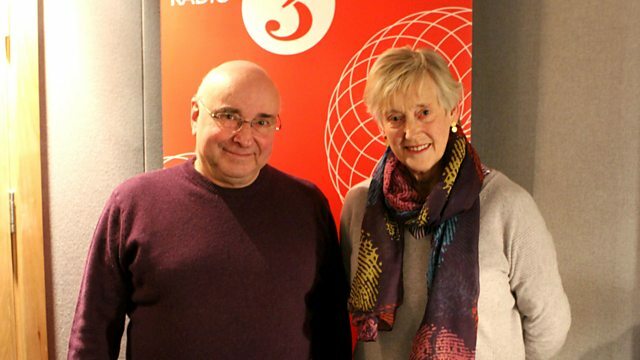 Rob's guest this week is former MI5 chief turned best-selling author, Dame Stella Rimington. The first woman to be promoted to the rank of Director of a Service branch, since retiring from the Service in 1996 Stella has published a number of novels set in the world of counter-terrorism and intelligence. Stella will be sharing a selection of her favourite classical music, including works by Bach, Vaughan Williams, and Kodaly, every day at 10am. Rob's featured artist is the charismatic conductor Leopold Stokowski, who is perhaps best known for conducting the sound track of Walt Disney's animated film Fantasia. There'll be stunning recordings of Tchaikovsky's Fantasy Overture Hamlet, and the Love Music from Wagner's Tristan and Isolde, plus Rob will introduce several of Stokowski's many stylish orchestral transcriptions, including Pictures at an Exhibition by Mussorgsky, and Debussy's Clair de Lune, played by Stokowski's own symphony orchestra. This week Rob showcases 20th century piano concertos. Conductor: Leopold Stokowski. Orchestra: Leopold Stokowski Symphony Orchestra. Performer: Rudolf Gähler. Conductor: Charles Mackerras. Orchestra: London Symphony Orchestra. Music Arranger: Berr, Friedrich. Ensemble: Michael Thompson Wind Quartet. Lyricist: Burns, Robert. Choir: Edinburgh University Singers. Director: John Kitchen. Music Arranger: John Kitchen. Performer: Artur Balsam. Performer: Yehudi Menuhin. Performer: Dmitri Alexeev. Performer: Philip Jones. Orchestra: English Chamber Orchestra. Conductor: Jerzy Maksymiuk.